Managing an online casino can be a difficult and painful task. Managing a real life casino can be difficult as well, but it’s easier. How rewarding is it? Well, once you set everything up and start marketing your business, you will notice an influx of money. It might not seem to be a high-risk industry, but bank always keeps a close eye on all the transactions and for only slight loopholes here and there may list you in the high-risk merchants list. We offer services for these high-risk merchant accounts and also provide offshore processing if needed. 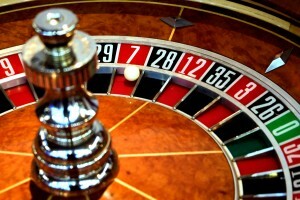 Why is online casino is considered high-risk? THE FINANCIAL ACTION TASK FORCE (FATF) is an inter-government body which makes and develops policies on money laundering to protect the global financial system and other blacklisted financing. FATF have eyes on online casinos and their payment method. Many Casinos have a high volume of cash transactions and operate almost 24 hours a day, and thus, many laws have been implemented to do a risk assessment on this sector regularly. Legal casinos go through various laws and scrutiny, and this is why it is of utmost importance to get the help from us to have a smooth and risk-free transactions. Secondly, the bank does not always know about the individual online gaming money laundering, and thus it becomes tough to work with banks at some point. There are always many financial and legal liabilities held by the bank, and they are not very flexible. Thirdly, the business itself is subject to taxation and regulation by many government agencies. These agencies include state, federal and local levels. Regular changes in taxation rules and laws on casinos make it difficult for this business to maintain a good financial environment. Gaming and Online Casino is always connected to politics and it also has huge social and financial impact on the society. Don’t think its bread and butter to launch your online casino and get away from any tight rules and regulation. Take our expert high-risk payment merchant solutions and you don’t have to worry again. You’ll need to make sure that all information given out by customers is kept safe and away from harm. They will need to provide their private details in the event of a casino win. Payment security and the customer’s identity security are the casino itself. Vulnerabilities have been reported many times about these securities and these reports lead the casino business to become blacklisted. With all these points mentioned, you should have a decent understanding of how things work. Our company can provide various benefits to you and help you with starting your business, as well as managing it later. We offer all kinds of solutions and services to merchants, and if you want to own a successful online casino, you’ll need all the help you can get. We possess professional knowledge in this matter, and you won’t make a mistake by choosing to work with us. By choosing us, you will receive a high-risk merchant account as well as many services oriented towards the processing of high-risk credit cards.